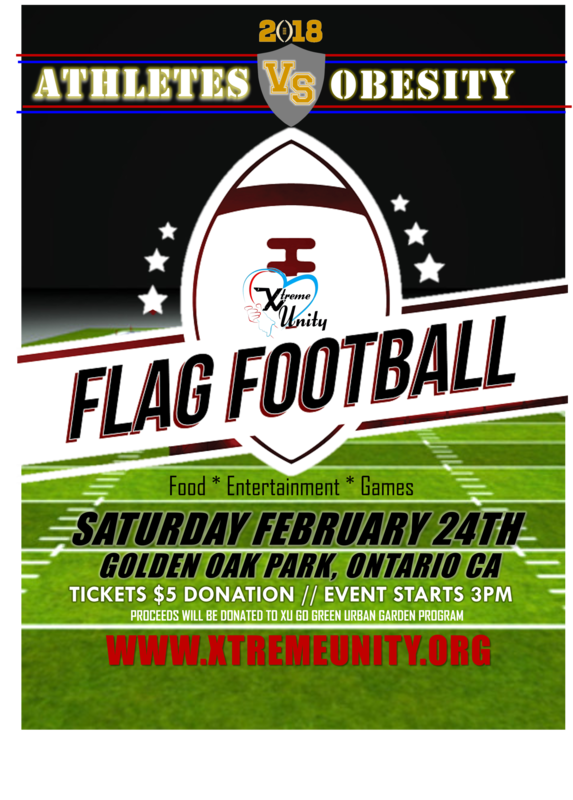 Xtreme Unity is hosting their first Annual Athletes Vs Obesity Flag Football Game! Join us as we fight against obesity and raise funds to create more opportunites for the children to live a more active and healthy lifestyle. Proceeds will be donated to providing equipment, a physical and health education program, and developing urban gardens in the inner city schools of LAUSD.